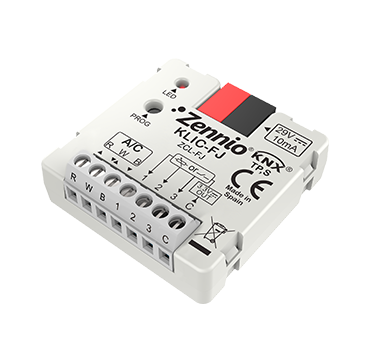 Zennio gateway to control Fujitsu, General, Hiyasu and Fuji Electric air conditioning units from KNX system in a bidirectional way. It includes 3 analog-digital inputs for temperature probes, motion sensor or dry contact binary inputs (switches, sensors or push buttons) and 10 logical functions. Accessories: temperature probe and motion sensor.